I was sitting in Golden Pear having a cup of coffee and Rich Decker walks in dressed in workout attire to have breakfast. I started talking to him and asked what was new at Studio 89, he told me that he was celebrating his 6th year anniversary in April. It seems like it was just yesterday that he opened Studio 89, I was happy to hear this. I have a friend who lost over 100 pounds with Rich and his team, and has kept it off for nearly 3 years. Studio 89 is not just about loosing weight but developing a way of life. 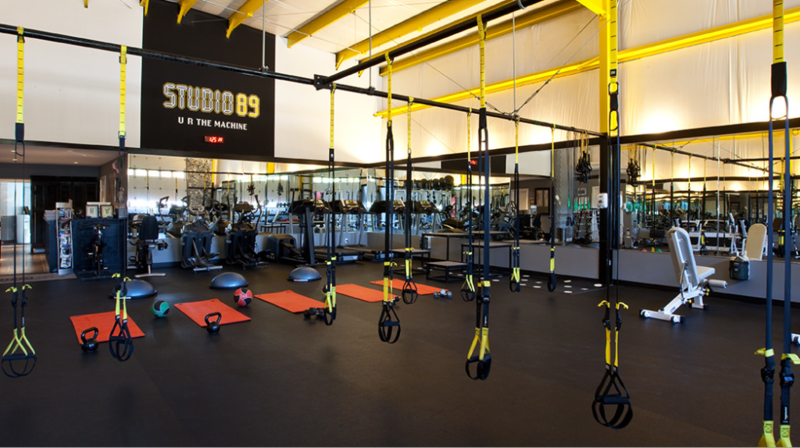 Studio 89 is a boutique Private fitness facility, it is not a gym, you will not find machine-based workouts- the emphasis at Studio 89 is that you are the Machine. 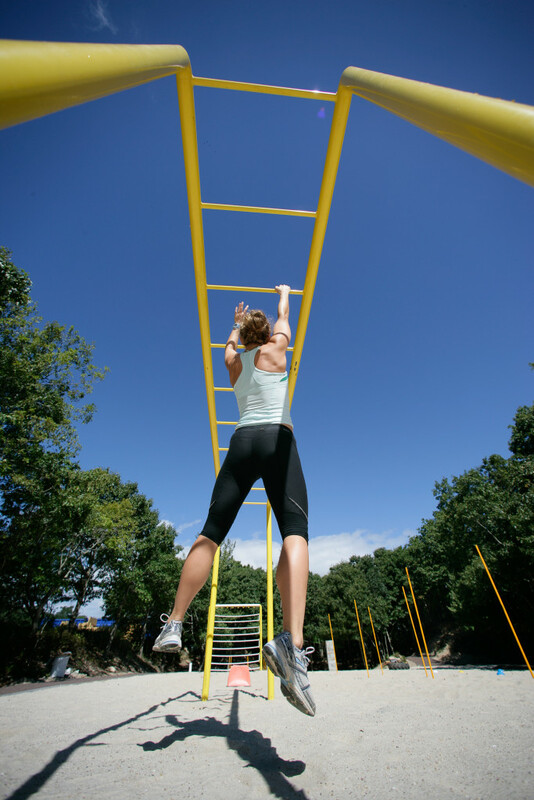 The focus is on Core, Agility, Flexibility, Strength Suspension and Gravity Training to give you The Ultimate One-on-One Training Experience. Your workouts are personalized to match your goals, and those who have worked out with Rich love his approach to training. April 2015 will be Studio 89, 6th year anniversary and to CELEBRATE they are offering unlimited classes for just a dollar a day $365/annually. Classes include: JustAbs, TRX, Spin, Power Pump, Power Sculpt, Stretch Core, Gentle Yoga, Les Milles Body Pump, Body Combat and Body Flow. The spin classes are not for the masses, it is just you and 15 other cyclist moving and jamming to some great music. No need to bring shoes, they provide shoes & weights. The instructor has an opportunity to give you personal attention. This is how many of their classes are, small groups and individual instruction. 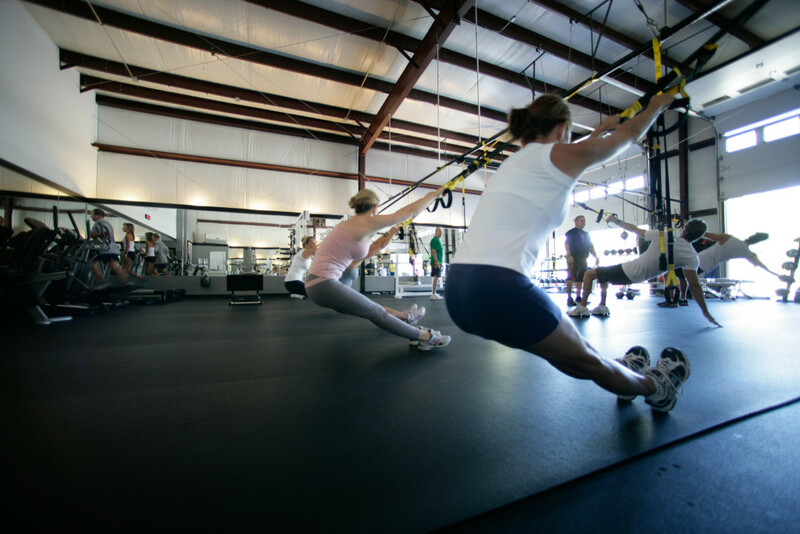 If you are really focusing on training then Studio 89 is for you. right at Estia’s Restaurant onto Clay Pit Rd. Outdoor will open as soon as there is a break in the weather. Temporarily Closes Shellfishing Areas in Nassau and Suffolk Counties until the DEC deems it safe for the public to eat. 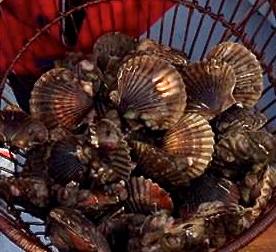 Shellfish harvesting areas in several Towns in Nassau and Suffolk Counties have been designated as uncertified (closed) for shellfish harvesting, the New York State Department of Environmental Conservation (DEC) announced today. These temporary closures were implemented following the extraordinarily heavy rainfall and stormwater runoff that affected Long Island. More than three inches of precipitation fell within 12 hours in all the affected areas; a daily record was set at Long Island MacArthur airport. This action was taken to protect the public health. Excessive stormwater runoff caused by heavy rainfall carries bacteria and other pathogens into adjacent surface waters, adversely affecting water quality in the enclosed creeks, coves, harbors and bays and causing shellfish in those areas to have an increased potential to be hazardous for use as food. The closures in Nassau County and the Town of Huntington went into effect at 3 p.m. on Tuesday, December 9. The closures in Southampton and East Hampton are effective Wednesday, December 10. All the closures will continue until a determination is made that conditions no longer exist that may make shellfish hazardous for use as food. Towns of Hempstead and Oyster Bay (south shore): All that area of Hempstead Bay, East Bay and South Oyster Bay and their tributaries in the Towns of Hempstead and Oyster Bay. Town of North Hempstead: All of Hempstead Harbor lying south of a line extending from Prospect Point to Matinecock Point. Town of Oyster Bay (north shore): All of Oyster Bay Harbor and all of Cold Spring Harbor lying southerly of a line extending easterly from the stone house on Plum Point (Centre Island) to the northerly side of the beach pavilion at West Neck Beach (Town of Huntington) on the eastern shore of Cold Spring Harbor; and all of Hempstead Harbor lying south of a line extending from Prospect Point to Matinecock Point. Towns of Babylon and Islip: All that area of Great South Bay and its tributaries lying westerly of the northbound span of the Robert Moses Causeway bridges. Town of Huntington: All of Northport Bay, Duck Island Harbor, Centerport Harbor, Lloyd Harbor and Huntington Bay lying southerly of a line extending easterly from the southernmost point of East Beach to the southernmost point of West Beach (also known as Sand City Beach), and, Cold Spring Harbor. 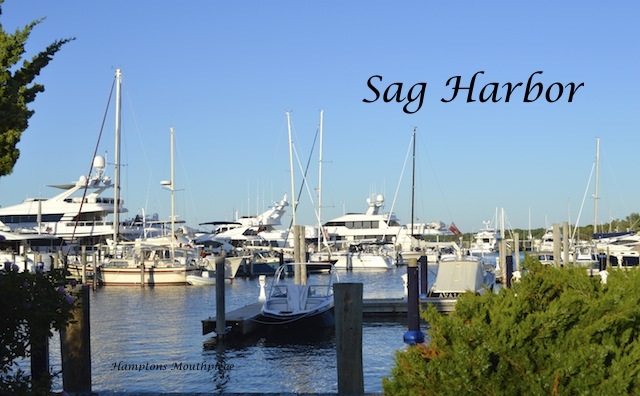 Town of Southampton: All of Sag Harbor and its tributaries and a portion of outer Sag Harbor. 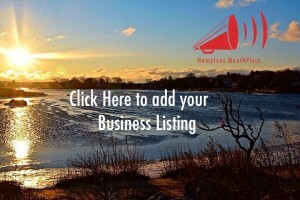 Town of East Hampton: All of Northwest Harbor lying easterly of a line extending northeasterly from the westernmost point of land at the entrance to Northwest Creek, to the foot of Mile Hill Road; all of Northwest Creek; and a portion of outer Sag Harbor. 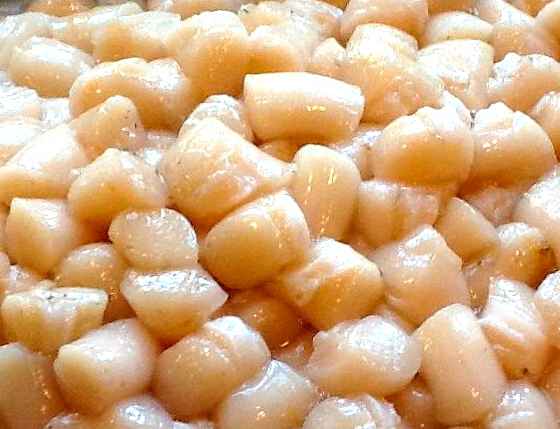 A recorded message that advises harvesters of the status of these shellfish areas may be heard at (631) 444-0480. The message will be updated during the course of the temporary closures. For a more detailed description of the closed areas please call DEC’s Marine Resources office during normal business hours at (631) 444-0492. Additionally, information about temporary shellfish closures will be available on DEC’s website. 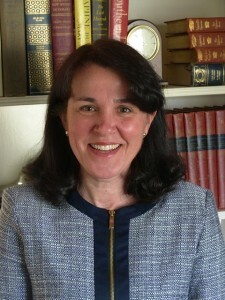 Mary Anne Miller has decided to not seek re-election as Board Member to the Sag Harbor School District, she has been an amazing Mouthpiece to our community for many years and she will be missed, but I am confident she will continue to be involved in fighting for the best interest of the children, the school district and the community. There are 3 seats open on the BOE and 4 candidates eying those seats. 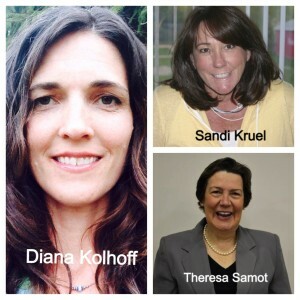 Thomas Re and Diana Warnock Kolhoff are new comers, Sandi Kruel and current Board President Theresa Samot are seeking re-election for another term. We will miss Dr. Carl A. Bonuso, Ed.D. 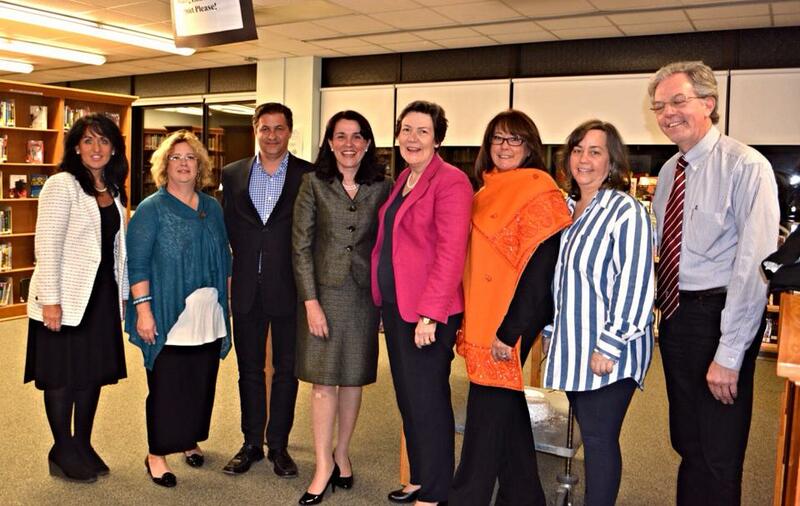 Interim Superintendent of Schools, he has accomplished so much during his time in Sag Harbor. The proposed 2014-15 budget has a tax levy increase of 1.48 percent, with an increase of $1,360,881 or 3.83 percent in spending from last year. The monthly impact on a house valued at $1 million is projected to be an increase of $5.83 in Southampton and $5.80 in East Hampton. PLEASE VOTE YES!!!! 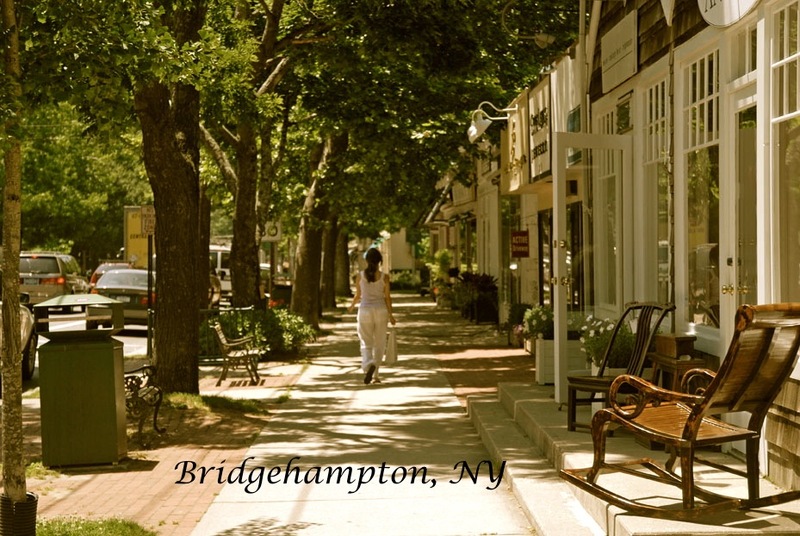 Bridgehampton, NY: What is new on Main Street Bridgehampton in 2014…. New Businesses come to Main Street in Bridgehampton 2014…Last week I heard that 2 new businesses were opening on Main Street in Bridgehampton, so I drove by to check them out. I thought I had heard wrong on the name BLOW..and I had to see what this was all about. 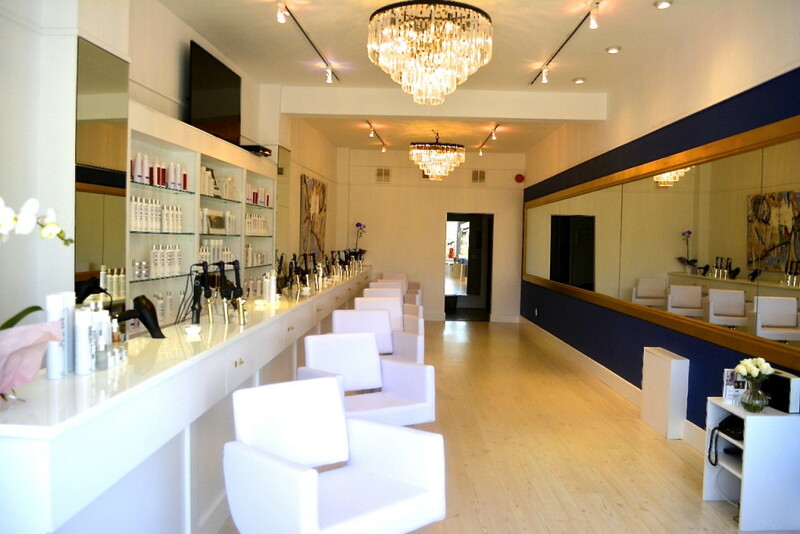 I was told that dry blow bars are trending in NYC and there was a demand for it in the Hamptons. I believe they will do well, the price point is sweet. Next door to Blow is Chase Edwards, a beautiful Fine Art Gallery I stopped in to speak to Gallery owner Bonnie Edwards and her energy was exciting. She made me feel welcomed and I knew that if I felt this way others would feel her electrifying energy and tell their friends about her. A prominent Long Island-raised gallery owner is returning to her roots in the Hamlet of Bridgehampton, New York, under the name Chase Edwards Fine Art Galleries. Bonnie Elizabeth Edwards has returned to the area after a successful west coast career including galleries in Laguna Beach, CA, Palm Desert, CA, Maui HI, Nantucket MA., Sante Fe, NM., and Oyster Bay, NY. 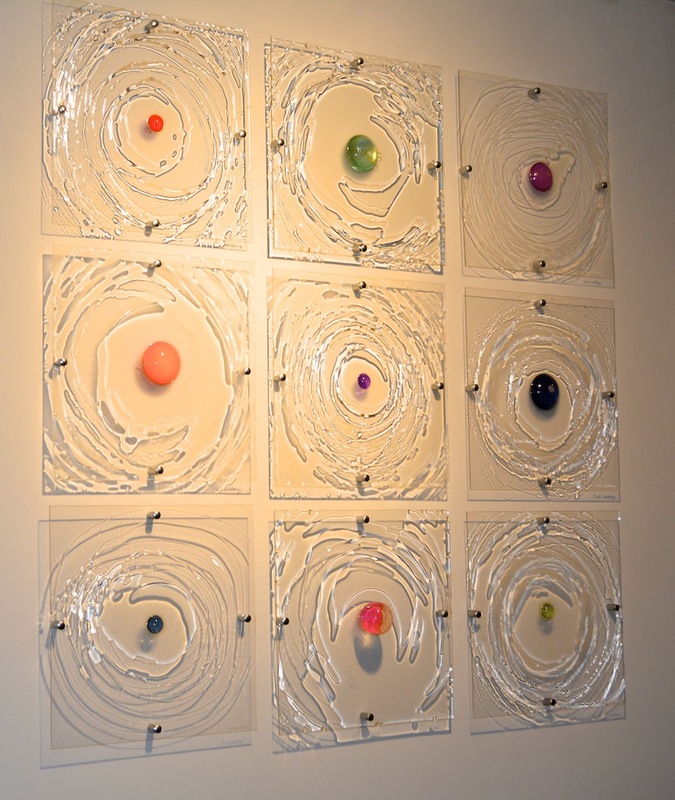 Bonnie’s clients include luminaries in the art, entertainment and business world. From paintings to sculptures to functional pieces, and photography, the gallery will present works of established and emerging new talents in the world of contemporary art. 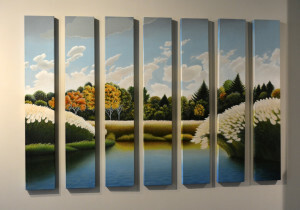 According to Bonnie, Bridgehampton is ideal for galleries. “The historic charm surrounded by the immense natural beauty of the ocean and the bay, easily accessible to a large advanced art community base, is an attractive environment for galleries.” The store hours will be 11am-7pm daily. Evening hours for strollers and events are in the works for the busy season. 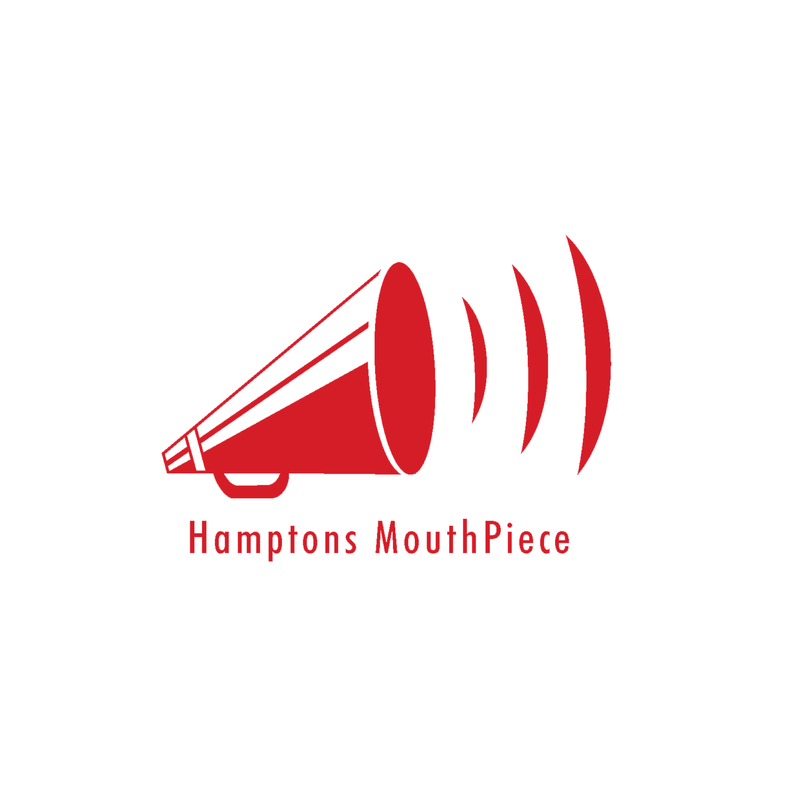 2463 Main Street, Bridgehampton, located next door to Blow Hamptons…I have been told that you will see some of Chase Edwards art pieces in Blow Hamptons as well. Bonnie says “I am very excited about this new journey and committed to presenting pieces that are powerful, passionate and uplifting. I am also determined to attract more galleries and artists to the area, making it a thriving destination for art in the community and the surrounding areas.” We wish you success in your new place Bonnie. As many of you are already aware Espresso has closed its doors for good what you did not know is the new owner is apparently an East Hampton local…Contrary to rumors circulating I am told this will not be a Vegetarian/Vegan cafe so everyone can take a deep breath and calm down. I have been told the new owner plans to open a Market Style with take-out Cafe, Brick-oven pizza, fresh healthy choices…moderate prices….Opening is slated for late April early May after much-needed renovations.. Page 63 rumor has that Chef James Carpentar is coming to Sag Harbor. 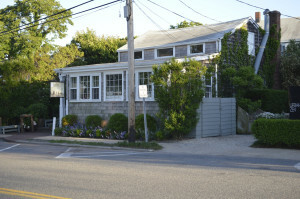 Chef Carpentar’s resume includes East Hampton Point, Cittanova, the Living Room and Dellafeminas…a local celebrity chef…I hear that Page is also expanding with a marketplace of their own. Watch out Provisions you might just be getting some competition in Sag Harbor. 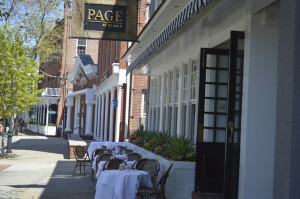 Page might just be the talk of the Town this summer? There is a new Aquaponic growing system and grow room had 2 new additions. Over 250 of a variety of salad greens were planted. Doppio the newcomer that bought last year’s popular Madison & Main Restaurant on Main Street in Sag Harbor looks like they are beginning their renovations. I was told when I visited the Huntington place that they were planning on opening in March; seems like that is not happening this month, maybe May. Madison & Main was incredibly busy last year, lets see if the new-comers can bring back that same vibe, but this year they will have some competition in the Harbor. 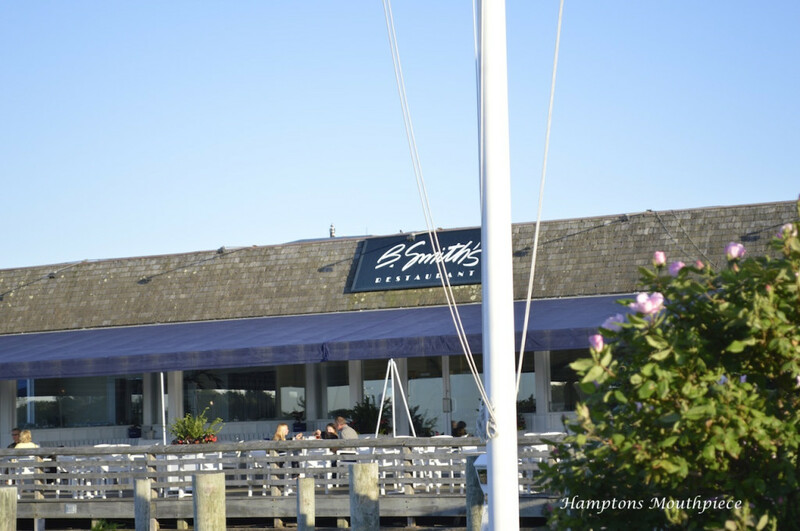 The biggest news however is B’Smith in Sag Harbor…It has been rumored that B’Smith’s in Sag Harbor will not be opening their doors this summer. I remember when B’Smith’s opened in 1997, it was the place to be. African American’s who vacationed in the Hamptons would always choose B’Smith’s as the place to dine out. Dan,Barbara and their Managers have always supported the community and graciously offered their place to host a variety of community events. There is community chatter that a new Management team will be running the show this summer, according to Grub Street Richie Notar will be Opening HARLOW in Sag Harbor, a seafood Cuisine. 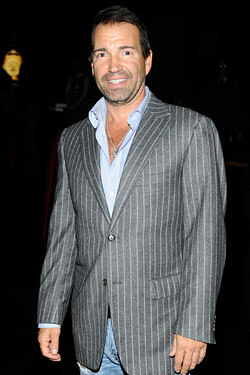 Richie Notar, the restaurateur who transitioned from his role as managing partner at Nobu two years ago to helm several new ventures, has taken over the waterfront space and plans to reopen in May as an East End outpost of his Lombardy Hotel restaurant Harlow. It is noted that Notar has also taken over the former Lenox Lounge space, which is rumored to be called Notar Jazz Lounge. Will this be the Sag Harbor summer place to be? They do have the BEST location in the Harbor. It is my hope that they will seek to have a relationship with the community and not just focus on the summer crowd. Hey Turto il Giorno fans I have been told that they are opening a new location in Tribeca, I have yet to eat at the Sag Harbor location, this is on my agenda for the Spring. I will share my experience with all of you once I do. 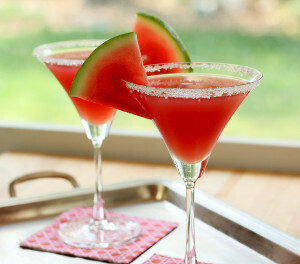 Where will you be hanging this summer in the Harbor…I will be at the place that makes the BEST Watermelon Martini’s!! !